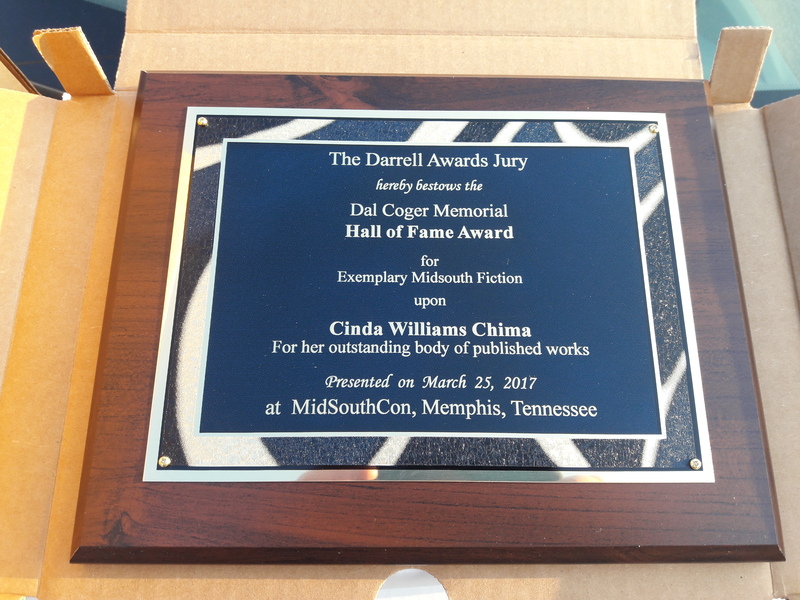 The new inductee into the Dal Coger Memorial Hall of Fame is CINDA WILLIAMS CHIMA for her 5 book Heirs series of Young Adult Fantasy, epecially The Enchanter Heir and The Sorcerer Heir. 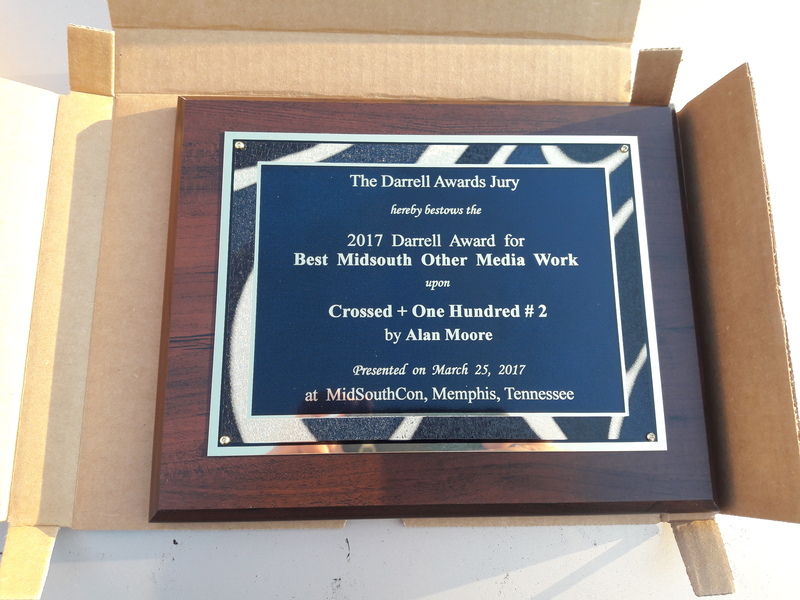 For the 2017 Darrell Award for Best Other Media, the Winner is Crossed+ One Hundred # 2 by Alan Moore. First Runner-Up is Shinobi: Ninja Princess # 4-6 by Martheus Wade. 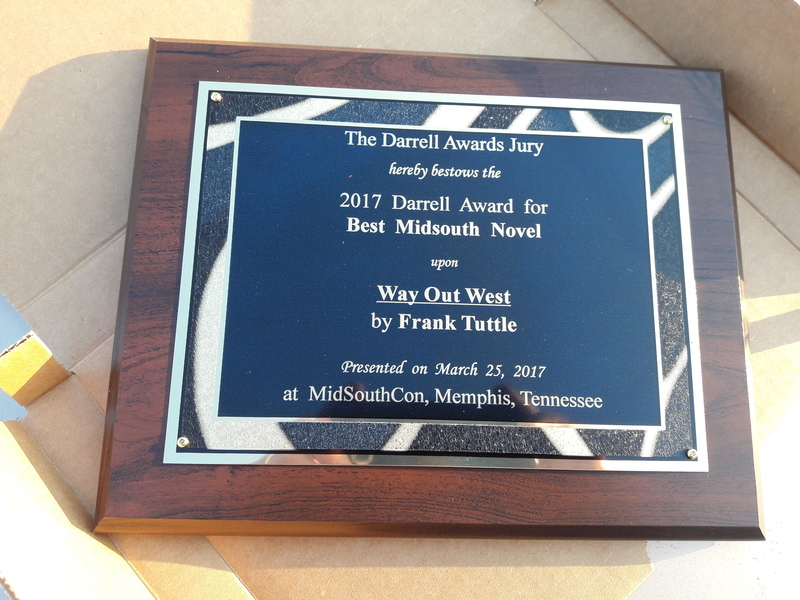 For the 2017 Darrell Award for Best Novel, the Winner is Way Out West by Frank Tuttle. 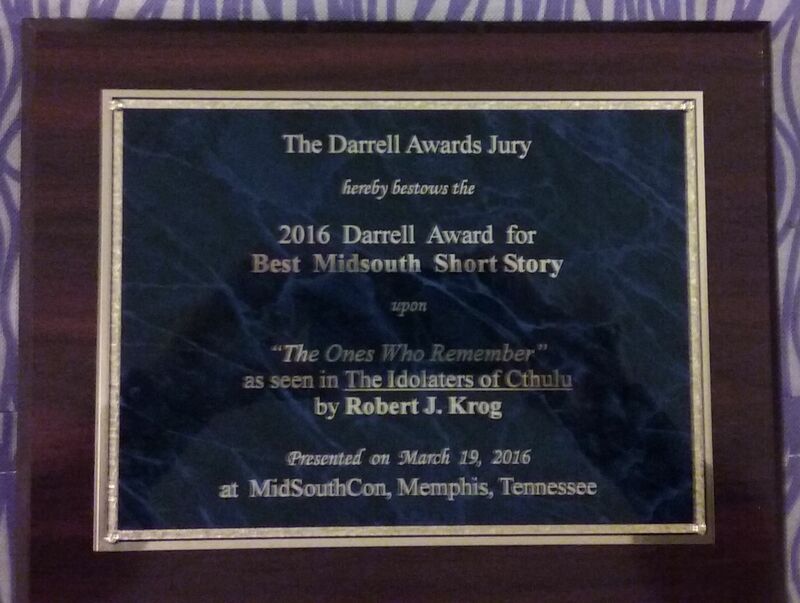 First Runner-Up is Brotherhood of the Wheel by R.S. Belcher. Additional Finalist is Eagle in Exile by Alan Smale. We highly recommend each of these works, as they are all excellent stories, well-told, with detailed characters. 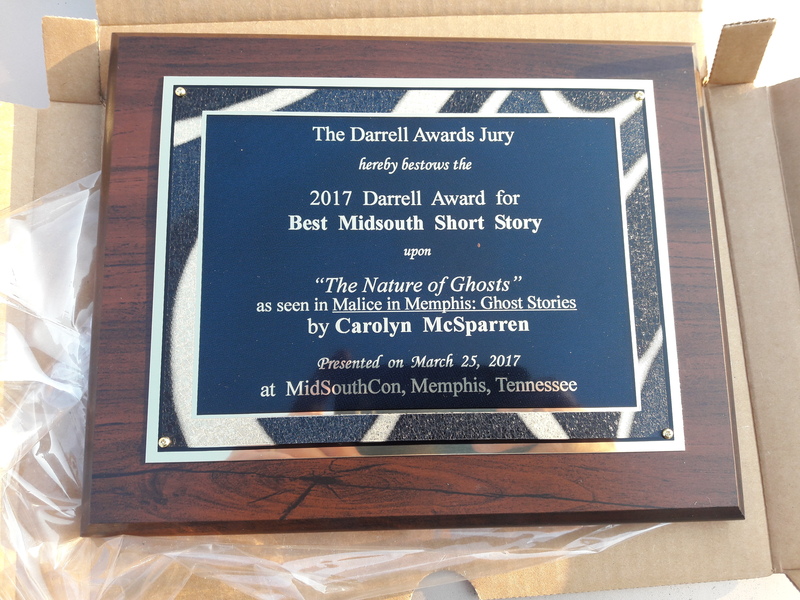 This concludes the work of the 2017 Darrell Awards Jury. 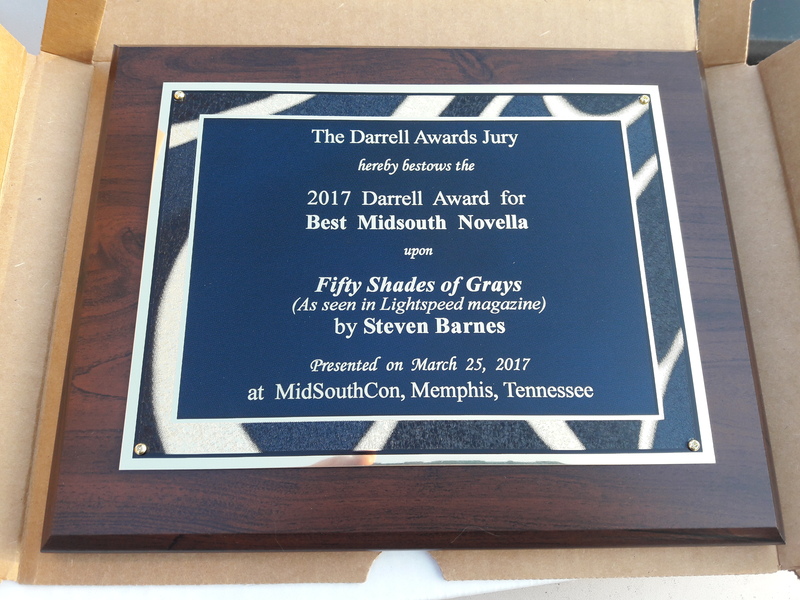 Please check our website (darrellawards.wordpress.com) in July for information about the 2018 Darrell Awards. In the meantime, please go and buy these wonderful books and read, read, read! 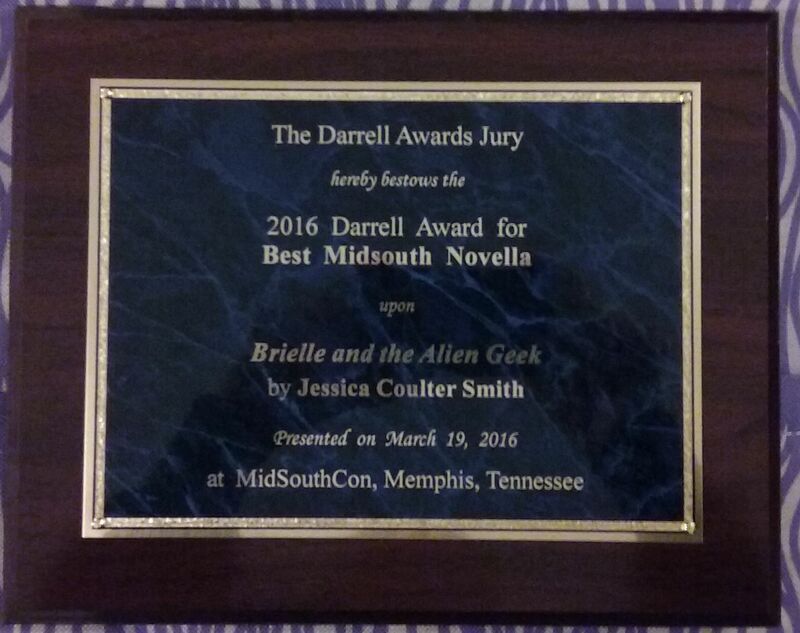 The 2016 Darrell Awards Jury is pleased to announce the Winners, First Runners-Up, and other Finalists for the Best Published Midsouth Science Fiction, Fantasy, and/or Horror. 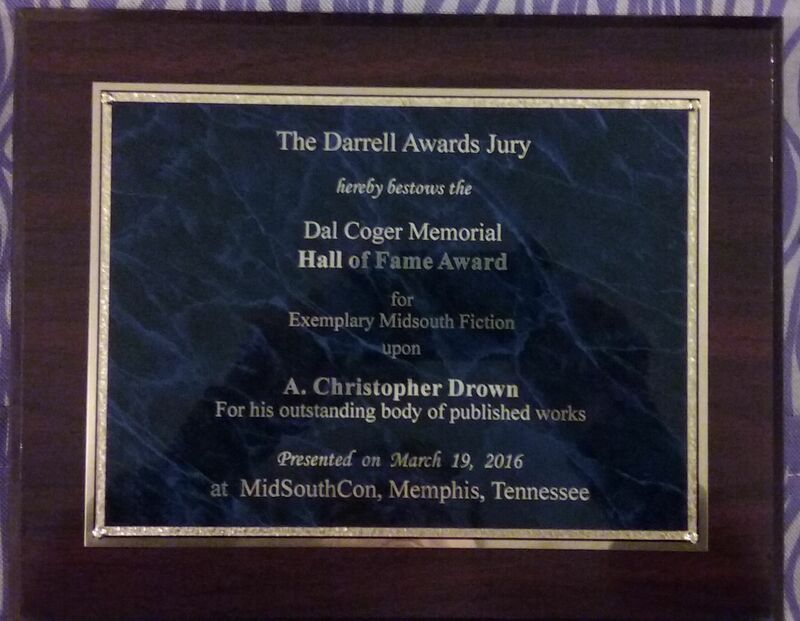 Our newest inductee into the Dal Coger Memorial Hall of Fame is A. Christopher Drown for his outstanding body of work, including many excellent short stories. 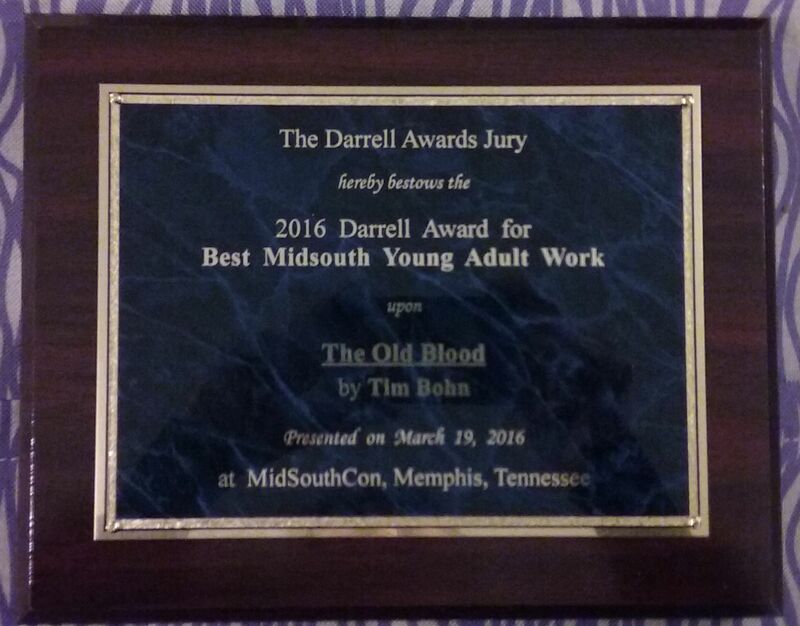 Congratulations to all of the Winners, First Runners-Up, and Honorable Mentions. 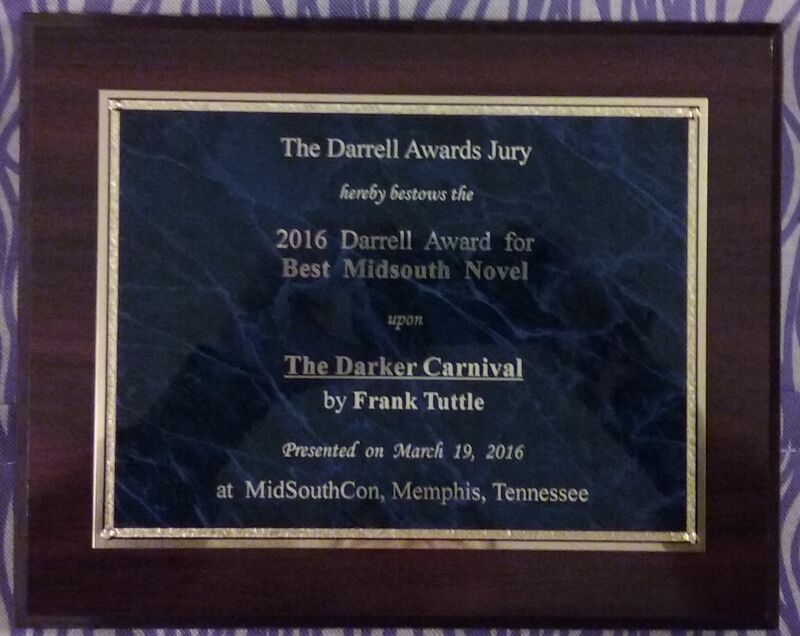 The 2016 Darrell Awards were presented during the Banquet at MidSouthCon 34 on Saturday, March 19, 2016. If your name appears above and you did not receive your plaque or framed Certificate, we will mail it to you as soon as possible if we have your mailing address.